Vienna, the picturesque and historic capital of Austria, is well-known for its old classic cafes, stunning architecture and quiet parks along the Danube river. 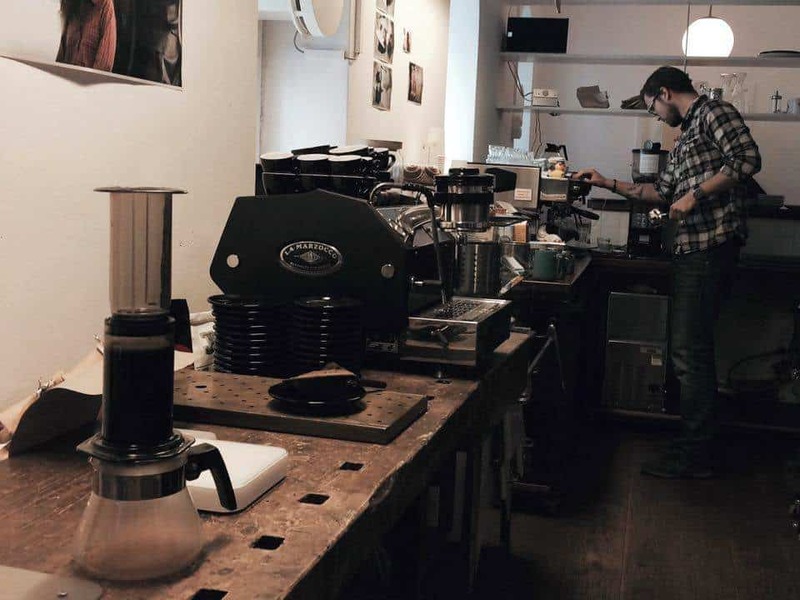 Have you heard of the growing speciality coffee culture in Vienna? 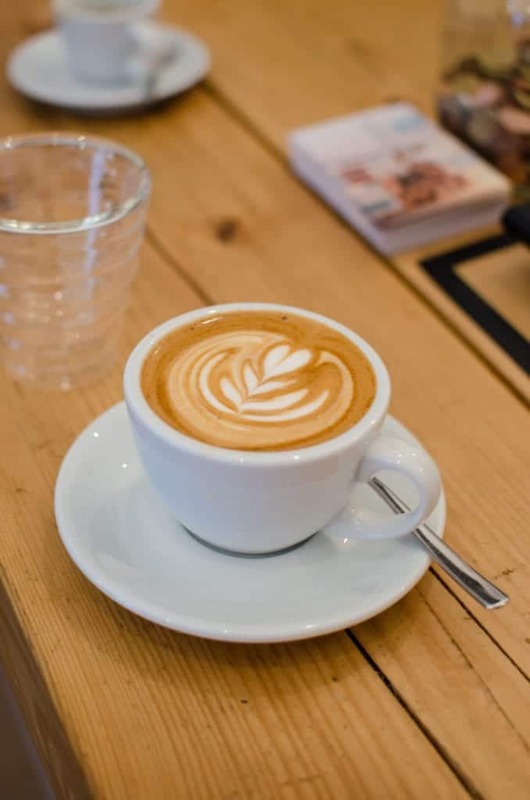 Many third wave coffee shops have opened over the last years and the rapid growth doesn’t seems to stop anytime soon. The friendly competition among cafés pushes the ground level of quality while building a coffee community of passionate baristas. 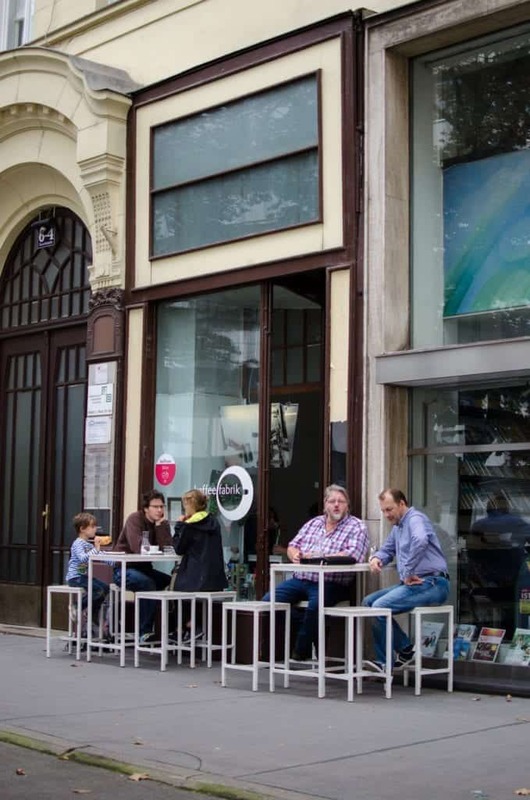 Let us take you on a coffee tour through Vienna and introduce you to four cafés you shouldn’t miss while visiting. In 2014 Huber brothers thought there was no reason to drink coffee of bad quality in their offices. At the same time, a shop opposite their offices closed down and Huber brothers decided to rent this place and rebuild it into a third wave coffee shop. 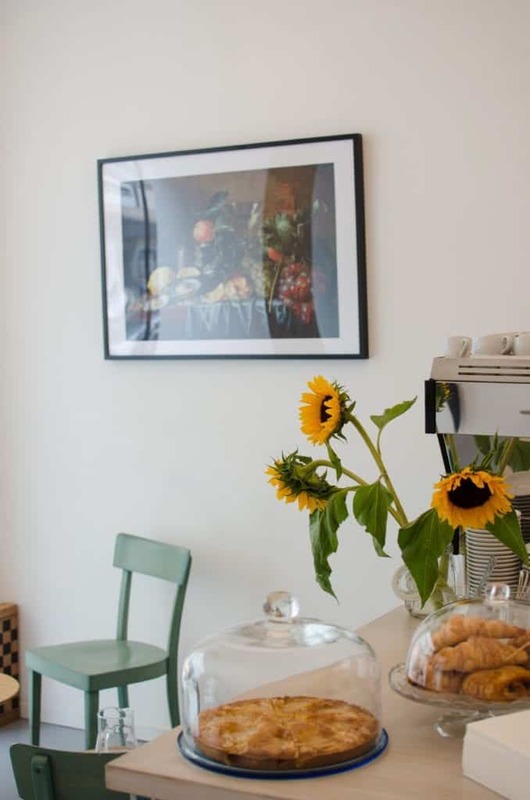 Kaffemik is situated close to the MuseumsQuartier and to the popular shopping street – Mariahilfer Strasse. You just cannot miss it thanks to the prominent sign above the entrance. The bar is decorated by hand-painted tiles in Turkish style and it comes low enough for customers to follow every step of baristas. The fact, that there are only five small tables (three inside, two outside), gives you a distinct feeling of importance and intimacy. The house coffee is roasted especially for them by Johanna Wechselberger of Vienna School of Coffee. 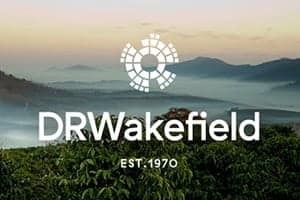 The other beans come from European independent roasters such as The Barn, Coffee Collective, 3FE, ALPHA coffee, La Cabra, and others. With every announcement of a new guest roaster comes the possibility of ordering their beans through Kaffeemik at no extra cost. 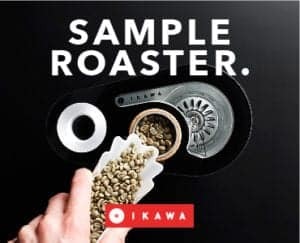 Every month a coffee tasting takes place at the shop where professional skills and knowledge of the baristas, together with La Marzocco Linea 2 group and freshly roasted specialty coffee, create an unforgettable moment for all coffee lovers daily. There is not a single chair or a table in Kaffemodul, one of the tiniest coffeeshops we have visited. At least not on the floor. 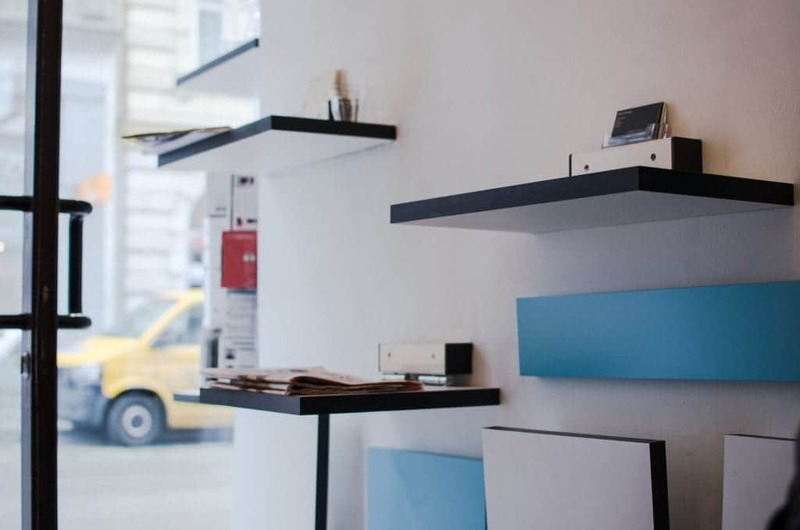 The space of a few square meters is compensated by the clever idea of wall modules. 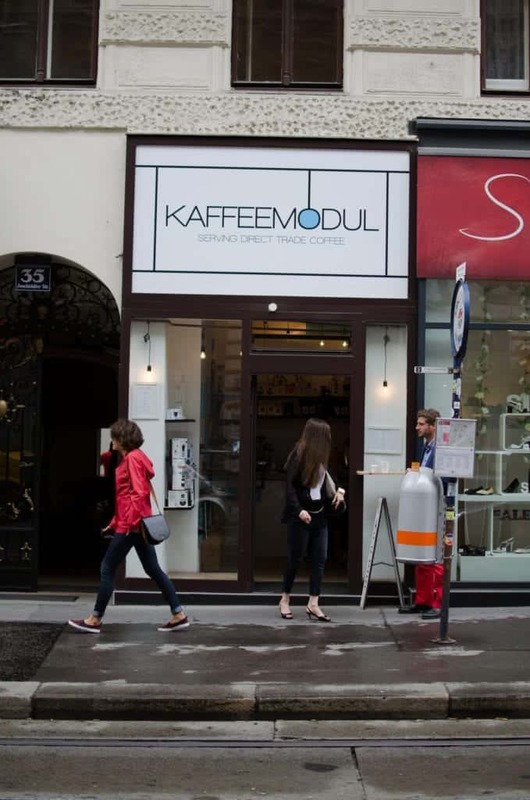 These “Kaffeemoduls” attached to the cafe’s walls can be bent to form a chair or a table if need be. 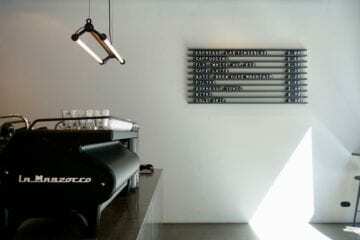 The walls display a simple menu and the brew methods. 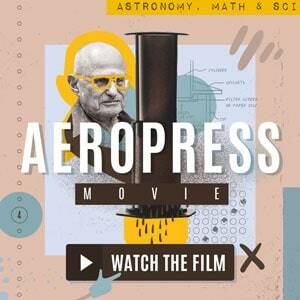 Espresso-based drinks, drip coffee and cold brew. 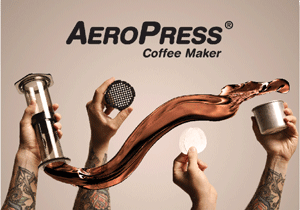 Brewing equipment and fresh beans are available to take home… Do we need more? 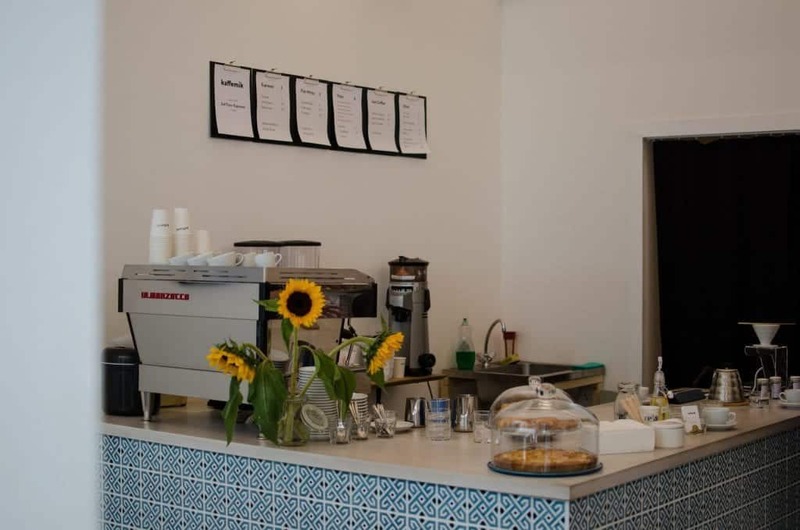 Their house coffee comes from Quijote Coffee (Hamburg, Germany) and among guest roasters you can find La Cabra Roasters from Denmark or Machhörndl Kaffee from Germany. 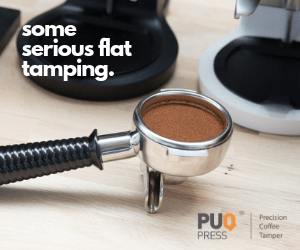 The choice of their espresso machine, La Marzocco Strada 3 group – one of the biggest machines on the market comes as a funny contrast to their limited space. However, the cafe is becoming more and more popular, meaning they certainly put it to use. 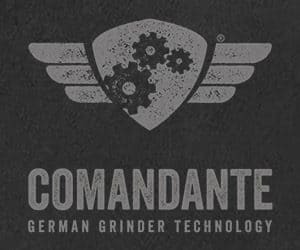 Mahlkoenig K30 Twin for espresso and Mahlkoenig Tanzania for filter are the grinders of their choice. 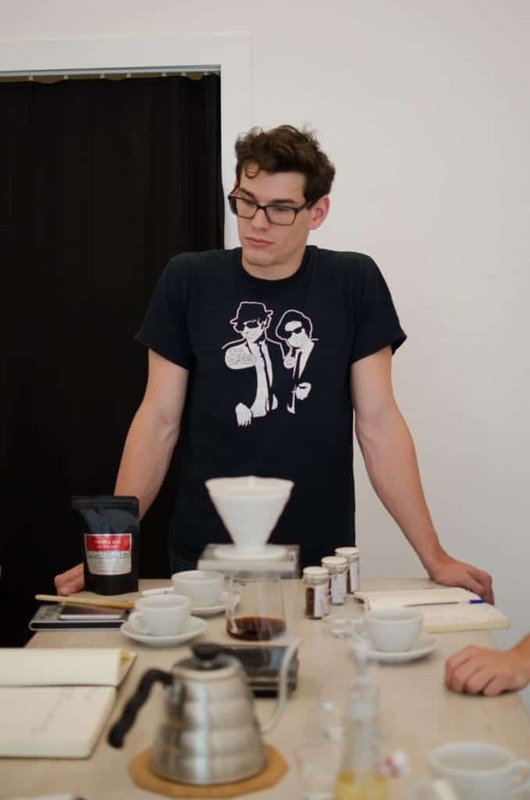 Workshops and coffee tastings are led by Boris Ortner (Aeropress Champion 2014) and Valentin Freyler. 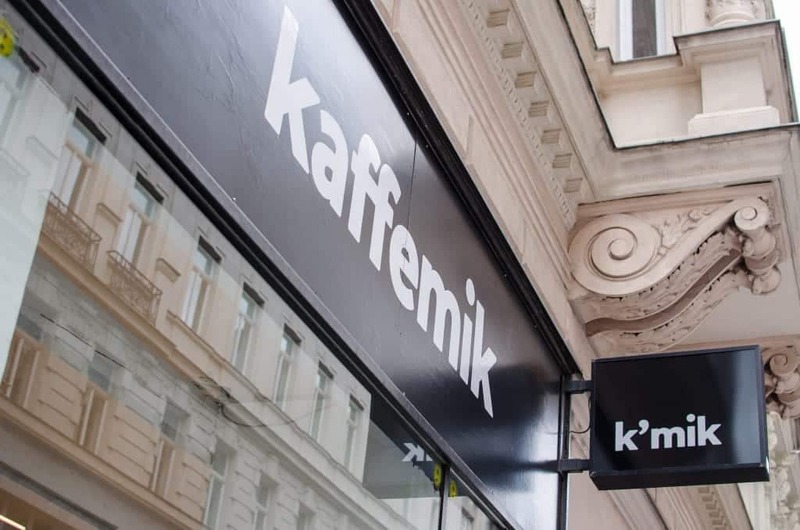 Kaffeefabrik is yet another of the small cafés of Vienna’s third wave coffee scene. 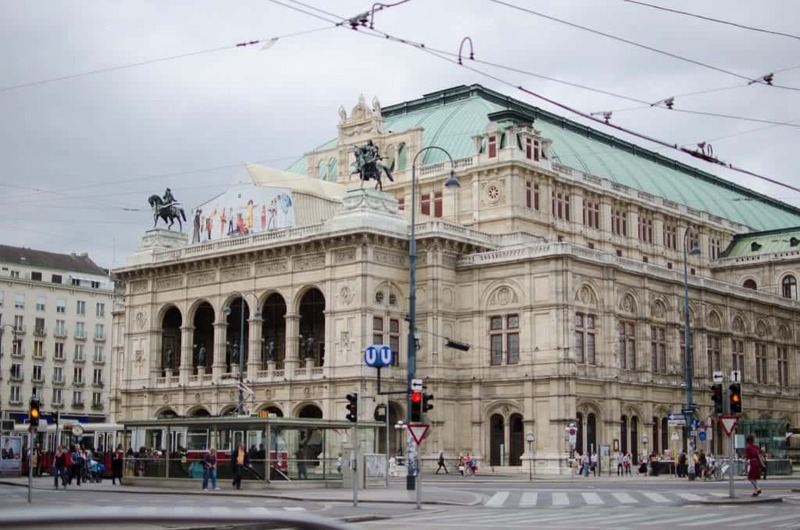 It attracts many students and academics residing at the nearby Technical University of Vienna. Coffee is always an option before a lecture starts. House coffee is roasted by the owner and former student of political science and journalism, Tobias Radinger. He applies the knowledge gained during his studies of political science to co-operating with farmers from Brazil, Malawi, Nicaragua and Kenya. The morning vibe at Kafeefabrik is great as customers come for their morning kick to start the day off right. Making people happy, satisfied and thankful is an important part of barista’s job and at Kaffeefabrik they surely are aware of this. If you are a fan of ecological consumption get your coffee-to-go in one of the KeepCups that are here for sale. 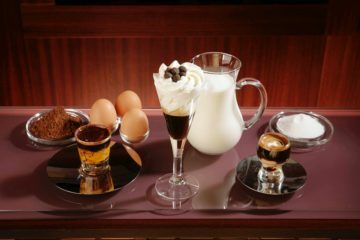 In case you have not got any caffeine in your system yet it is probably not going to be easy for you to find this cafe. The sign could as well be Alserkirche church since the coffeeshop is built within the interior of this historic building. 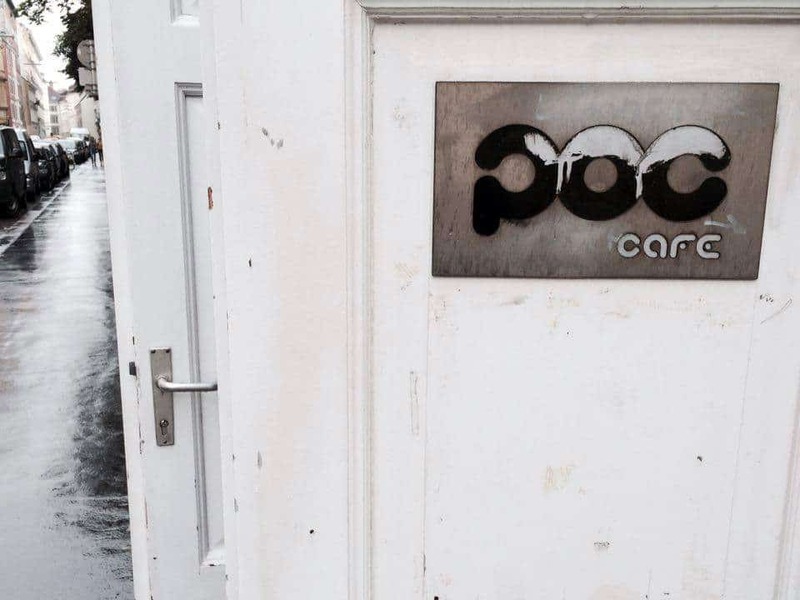 There is no significant ad suggesting a café indoors, just a little metal sign saying „POC cafe“ at the entrance. The enjoyment of coffee depends on people that surround you. We had the pleasure to meet the owner, Robert Gruber, who is a first-class host. 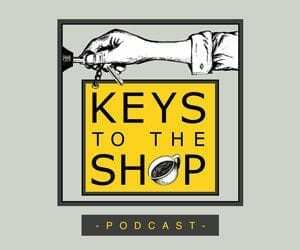 Robert told me about his barista career, his background and the philosophy of POC. 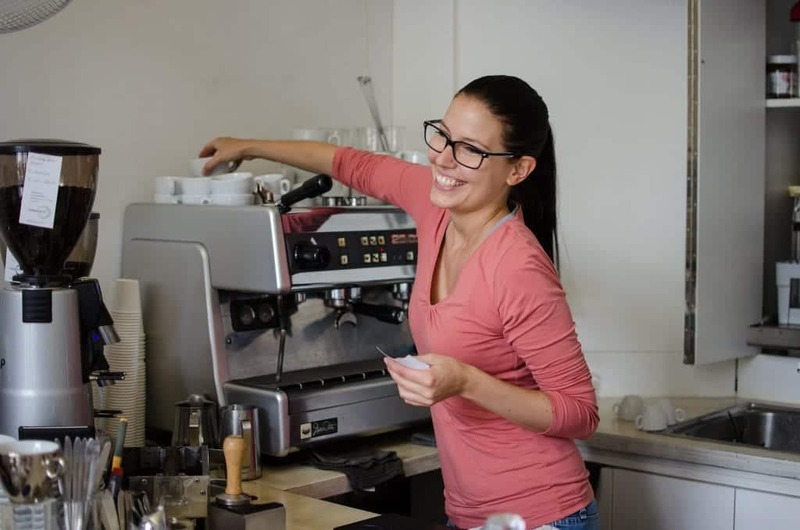 “I would like to disrupt the concept of barista’s space and customer’s space. I would like to create a totally open environment,” he explains. POC is the perfect place for coffee meetings and workshops. It is big enough to fit in two coffee machines, a lot of equipment for filtered coffee and maintain a fairly large workspace at one end. The tables and chairs are on the other side of the room, but there is no bar between baristas and customers! This concept makes you feel very welcome to the cafe. Personal approach is provided to all customers And we loved their light blue cups! Discovering all the good places in one day is unfortunately quite hectic, but knowing there are more then the four cafes cheered us up! 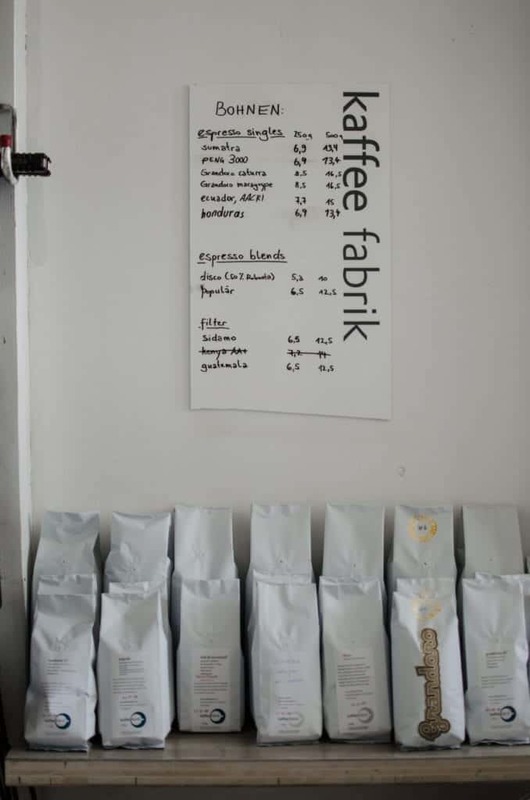 CaffèCouture, ZÅMM Coffee Collective, Balthasar Kaffee Bar, Coffee Pirates or Cafe EL.AN are on our list for next time! 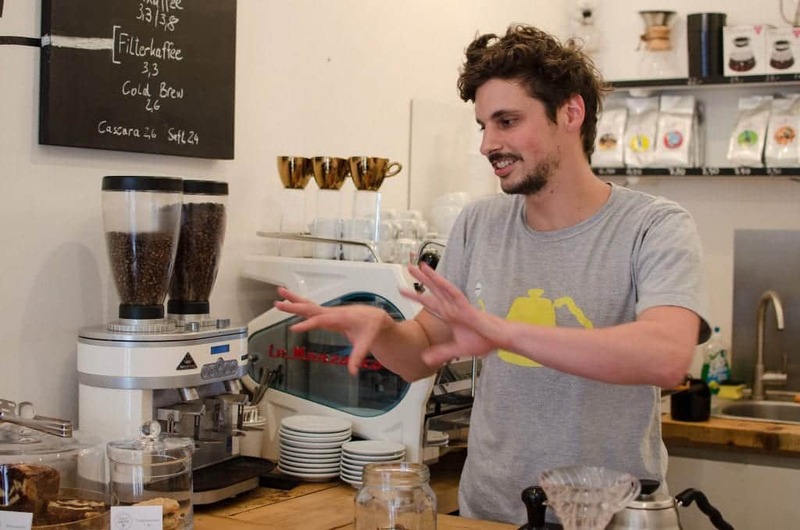 Note: Check out the extensive Coffee Guide of Vienna.